Having to work in a psychologically dangerous environment has a negative outcome for the individual employee, the team he or she works in and ultimately the organisation, according to Dr Renate Scherrer, managing director of JvR Consulting Psychologists. She points out that employees and teams need more than decent working hours and fair pay to flourish. 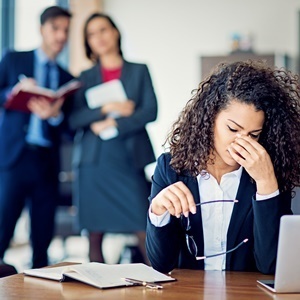 The fast-changing working environment is demanding, and employees' physical and mental health could be at stake if an "unsafe" psychological environment exists. For organisations to be sustainable, "agility" is required as well as greater inter-dependence and team coherence to be able to reach company goals. "Organisations looking to succeed, need to create a culture that will facilitate innovation, collaboration and extraordinary performance," says Scherrer. "This is where an environment of psychological safety can play a vital role for team members to take risks and be vulnerable in front of each other." In her view, vulnerability and risk-taking in the work environment go hand-in-hand with factors like diversity, trust and respect, which all lay the foundation for a sustainable performance. Scherrer adds that leadership has a significant role to play in creating a work culture where employees feel safe psychologically. Three factors that can assist leaders in this process are if they make it clear that it is OK to be wrong; that failure is simply an opportunity to learn; and that everyone is invited to contribute. "It is important that the leader is humble, can acknowledge when he is wrong and shows others that he does not have all the answers," says Scherrer. "Inviting team members to healthy debate on issues will lead to more innovative solutions and positive energy in the team." At the same time people need to be held accountable. Consistent blaming and finger-pointing will, however, lead to less contribution and more "self-preservation" among employees. "When leaders treat mistakes as learning opportunities that can lead to even better results in the future, teams are authorised to experiment and improve," comments Scherrer. She explains that, if only a few people usually contribute to conversations while the rest conform, it can lead to potentially valuable alternative input being lost for fear of dismissal or alienation.